Intense Pulsed Light Skin RF: For freckles, sun spots, sun damage and broken capillaries. 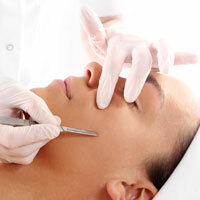 Sublime: For skin tightening to create tighter, firmer skin without surgery. Vbeam: For treatment of unwanted blood vessels and spider veins. A non-invasive procedure that uses radiofrequency energy to improve skin looseness. It is ideal for treating the problem areas around the eyes, mouth, cheeks and neck. Temperature-controlled RF energy produces gentle heating which, in turn, stimulates collagen remodeling and skin tightening. This procedure stimulates your skin’s natural ability to produce new collagen and elastin for healthier, younger-looking skin. Skin-Pen II accelerates this repair process by creating microscopic channels, which also allow products to penetrate into the deeper layers of the skin. New collagen and elastic production can reverse years of sun damage, improve acne scars and enhance the overall appearance of aging skin. Bellus Medical – the manufacturer of SkinPen® — recently announced that they have been granted clearance by the U.S. Food and Drug Administration (FDA) for this medical grade microneedling device, to be used exclusively by trained healthcare professionals. This is the first and only microneedling device in the industry to receive this important designation from the FDA and sets a new standard as the only recognized Class II microneedling device for aesthetic use. This light cosmetic procedure refreshes the look of the skin utilizing mechanical exfoliation of the outer layers of the skin. This technique involves exposing the skin to crystals or diamond flakes, which are then suctioned off of the surface. 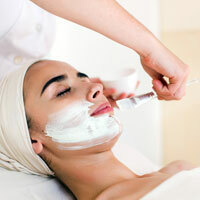 Much like brushing one’s teeth, microdermabrasion gently removes dead, dull-appearing skin cells. 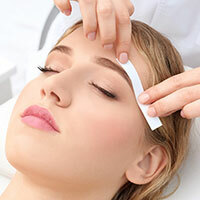 Following microdermabrasion, the Ultrasonic DermaPhoresis technique is used to deliver a unique, vitamin-enriched mask through ultrasound massage. A series of treatments reduces the appearance of fine lines, sun-damaged skin, and age spots and improves uneven skin tone. Chemical peels are topical treatments that use various types of chemicals to “peel” away damaged layers of skin. 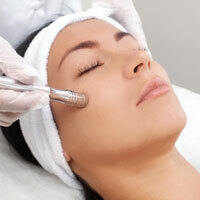 All types of light-to-medium chemical peels are available at Brinton Lake Dermatology. Depending on the type of peel used, results vary from a simple refreshing of the skin with the lighter peels to increased collagen production, improved skin texturing, corrected pigment problems and reduced sun damage with the more aggressive medium-depth peels. A facial removes impurities of the skin such as whiteheads, blackheads, milial cysts and pimples, as well as embedded dirt and oils under the skin. Utilizing deep cleansing, extraction and exfoliation, facials can resurface textural irregularities, rehydrate dry skin or counteract effects of sun damage by infusing your skin with antioxidants. Oily, acne-prone skin can also benefit by eliminating blackheads and whiteheads, by reducing the congestion caused by dirt and oils, and by reducing pigmentary problems left behind by acne breakouts. This procedure utilizes a special surgical blade called the “Epi-Blade” to carefully remove the uppermost layers of the skin, resulting in a rejuvenated appearance. In this process, not only is the top layer of damaged skin removed but also the very fine vellus hair (peach fuzz) that can trap excess dirt and oil leaving the complexion looking dull. 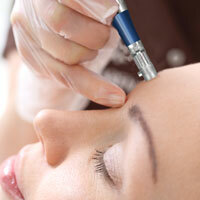 The end result of a series of treatments is skin that looks smoother and more refined. Brinton Lake Dermatology uses a diode hair reduction/removal system that is the first technology to use combined energies to effectively and gently remove hair of many colors and types from all skin tones. A combination of bipolar radiofrequency and diode laser energies target dense, concentrated pigment in the hair follicle where selective destruction of the hair follicle results in decreased hair growth. This virtually painless, no downtime procedure is safe and effective on a variety of skin types and most darker hair colors. Read more about laser elos™ Diode Hair Reduction/Removal technology at Brinton Lake Dermatology here. Using a botanical and anti-microbial wax that makes the wax removal less irritating to the skin, we offer facial waxing services for the brows, lip, cheeks, chin or sideburns.